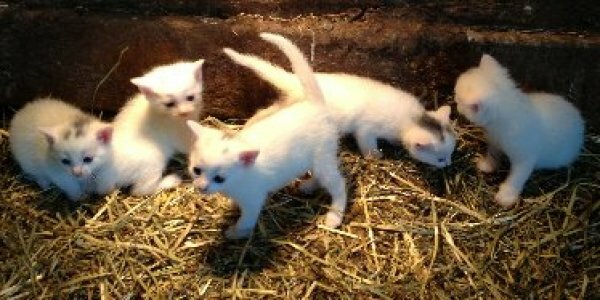 A barn always needs barn cats, and Spring brings a new crop of kittens. When they get about this size their mama starts bringing in mice to help them learn their job. Later, through the summer, they’ll delight our visitors with their friendly ways. They spend a lot of time being carried around! ← First pond for ducklings!